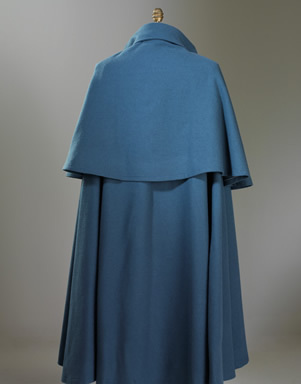 Our traditional Inverness is full bodied, with a short overcape. It has no sleeves, but has arm slits that allow the sleeves of your jacket to show through. The inverness is made of 100% wool Melton, unlined, double breasted, and without pockets. 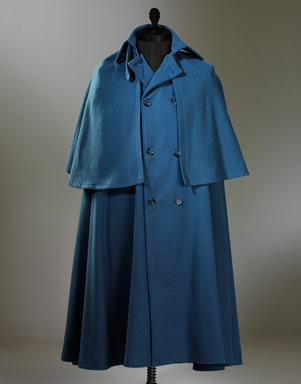 The Inverness is usually worn over a jacket but can be worn by itself. Standard colours are black, midnight blue, teal, forest green, and gray. Other colours are available on request.